So for a long time, we've been talking about the mythical meteor that was going to hit the TV industry and wipe out all the dinosaurs. Because there didn't seem to be a logical out to the situation we were in, where everyone was making money and no one wanted to rock the status quo. 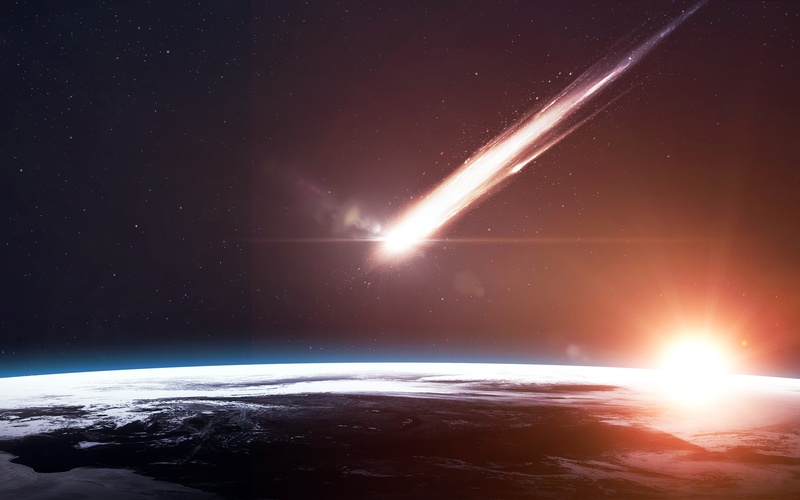 Which left prognosticators like me talking about the meteor, the something that would happen and cause change in the industry. Only we couldn't figure out where that meteor would come from or what it would look like. Then suddenly this morning, the meteor appeared. I'm talking about the lawsuit that Cablevision filed, asking the court to void the late 2012 carriage agreement they signed with Viacom because Viacom had coerced them by threatening to impose massive financial penalties unless they complied with Viacom's demands." There's a wonderful irony in this too, given that it was Viacom who successfully shut down Cablevision's TV Everywhere play back in 2011. The why isn't hard to get: the MVPDs hear all the consumer complaints about bundling and they're tired of getting blamed for it. It's an odd thing: the networks are quite teflon when it comes to the viewing public, who blame the MVPDs for forcing them to take thousand channel bundles without ever considering that their existence is purely the doing of the networks, whose carriage deals leave the MVPDs with no other option. And so after years of handwringing about how and where the first crack was going to be, who was going to "cave" and let the barbarians into Rome, it now seems that the answer is the Federal court system (and likely the Supreme Court itself, as neither side is likely to go down easily.) They will be the ones who step in and save the TV industry from itself. And if and when they do decide that forcing bundles on MVPDs is a bad thing, that will indeed be the moment the meteor falls and kills the dinosaurs and busts the industry wide open so that Apple TV and beautiful, personalized interfaces and cloud-based DVRs and dozens of other magical things we can now do with our televisions come to life and start populating the ecosystem like mammals who no longer need fear being chomped on by a tyrannosaurus every time they pop their tiny little heads out of their holes. Only don't hold your breath: it takes a while for a case like this to make its way to the Supreme Court. So that meteor's not striking tomorrow. Popcorn Moment: while you're watching the festivities unfold, keep your eye out for whether any of the other networks or MVPDs jump in and join the fray. It's in the network's interest to keep things mano a mano, since if all the MVPDs join in and turn this into TV's version of the Great War, public opinion is sure to be with the MVPDs and the forces of anti-bundling. Once again, it's time to sit back and enjoy the show.